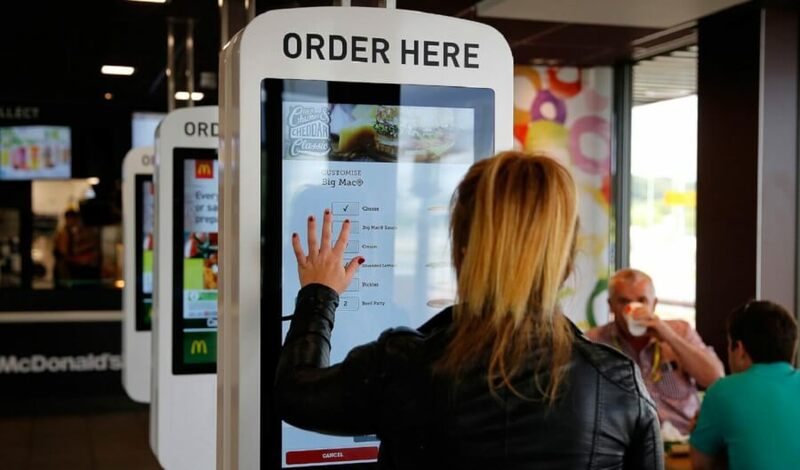 Touch screen ordering: McPathogens at McDonald’s? The pathogens included potentially fatal Staphylococcus (the dreaded “Staph” infection that closes hospital wards). Staph is also becoming antibiotic resistant. I now have another reason to not to use McDonald’s kiosks. More. Reality check: The basic problem here is that the drive to automate everything eventually meets the Law of Unintended Consequences (there are unintended consequences to every choice made in a complex world). If, for example, the corporation tries to get employees to do things that used to be done by staff, it is delegating the job to people whom they can’t force to wash their hands. The rest follows.